Using this ratio of .729, Firefly’s 30.5 inch limbs would be reduced in size down to 22 1/4 inches. The distance between the center of the spring holes in the field frames would go from 57 inches on Firefly, down to 41 1/2 inches on Phoenix. Here the ratio is .846. Which, proportionally, gives us a bit more spring diameter to work with on Phoenix. I do not think a comparison of the spring holes in the Orsova and Elenovo artifacts is as good a reference for figuring a reduction ratio for the rest of the machine, as is comparing the relative height of the field frames. The size of the spring hole can be affected by everything, from the catapult maker’s ballistic ambitions to a need for clearance around the spring to counter chaffing issues on it’s delicate fibers. On the other hand, the height of the field frames seems a more fixed reference when considering scale. And so, when she is finished, I fully expect Phoenix to be about seven tenths the size of Firefly and have springs trending fat rather than skinny. That’ll make her fit right in around here. 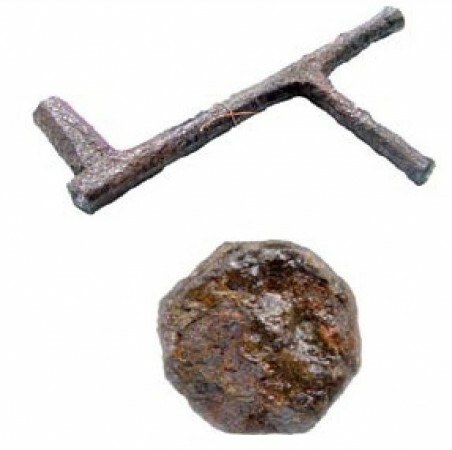 For modern man, chasing the ephemera of ancient catapult technology is not unlike that carnival act with the shells and the pea. You never quite know where you are until you flip the walnut shell or pull the firing lanyard. Cutting steel for the field frames commences tomorrow. From the Kayumov paper we see this intriguing plate of objects from the Elenovo horde. 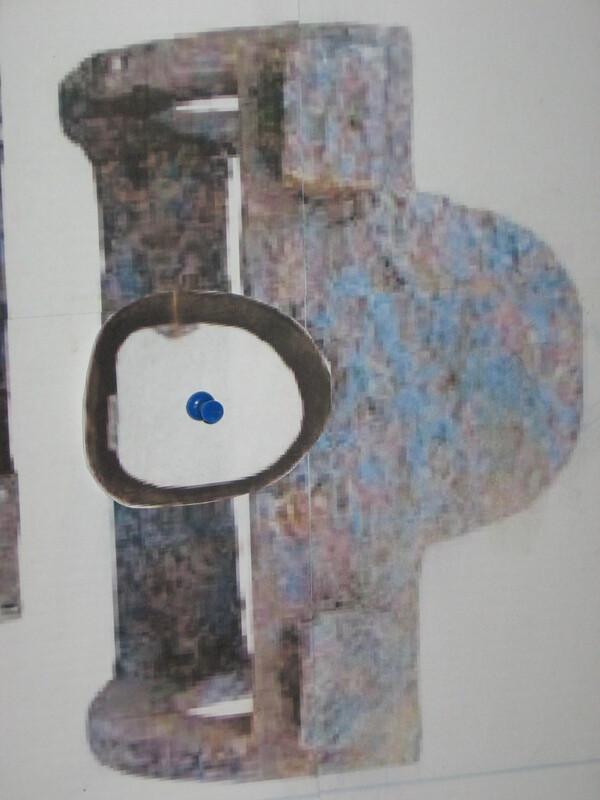 It is not a “perfect fit”, but if you consider only the ID of the ring, or that part of the cross section where the wood actually is, the radii seem to nestle nicely. 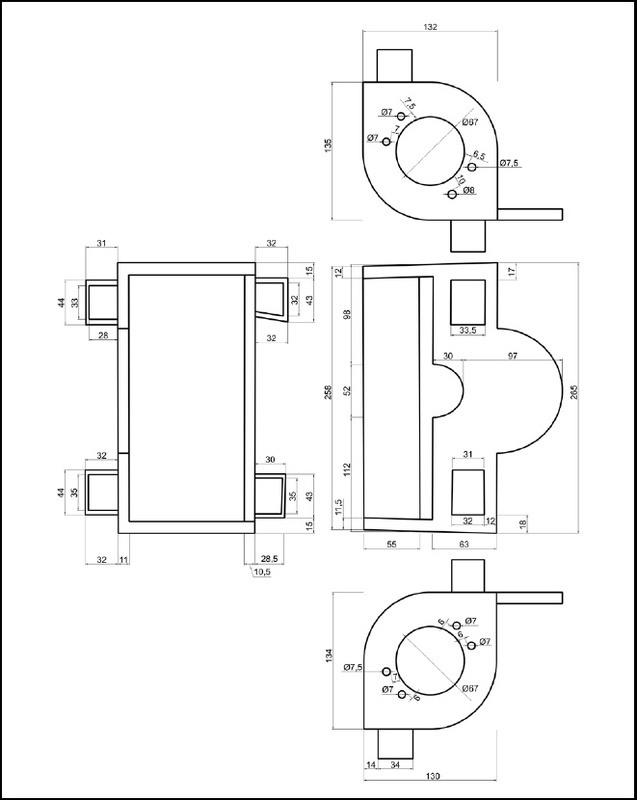 Of course, our methodology for sizing these parts is a tad imprecise. Perhaps if the tolerance range for this little gambit runs in our favor, artifact No. 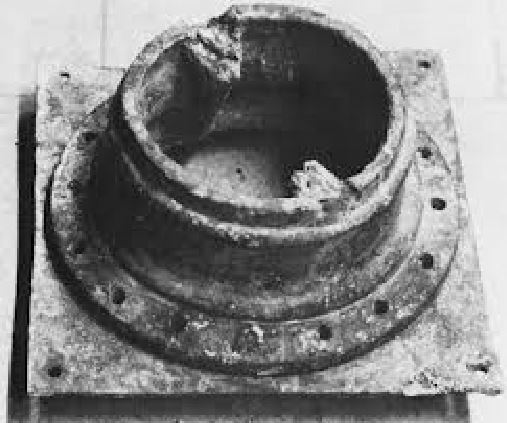 3306 will turn out to be a steel compression ring that locks the rear of a tension rod down onto the face of a ballista limb. (Or, equally I suppose, a collar for a spade or something.) But, no matter, it’s a twinkle of a possibility, and that’s about as good as it gets in this game. 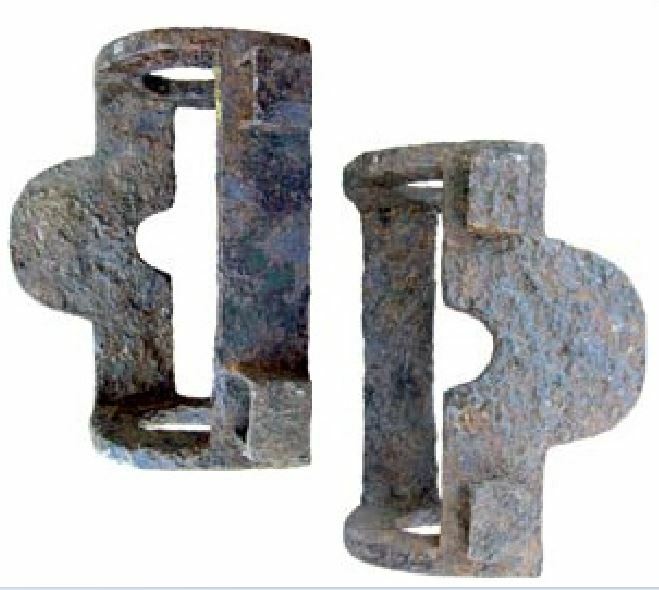 What if these forged loops from the Elenovo finds actually were the tips of ballista limbs? …. Excuse me if I get a case of the vapors here. The most challenging part of high-performance ballista design lies in the limbs. It’s kind of the Holy Grail in this game. If this hypothesis is correct, and this rod is from a ballista limb, then it seems to be missing a part; very likely a high tensile steel pin that goes through that forged eye. I know from experience that a projecting crosswise pin can be used to secure the bowstring to the limb tips of a ballista. When we were trying our paddle limbs, back in 04/28/2009 (see archives), we used projecting pins to form the bowstring nocks on the limb tips. The pins worked very well in this role, although the rest of these Mk. IV limbs, seen below, were too beastly heavy to have any useful speed. A real goofenator of a design, that one. On the limb tip, a 1/2 inch tall shoulder, possibly built up from a cordage seizing (much like Firefly has now) is all that is needed to stop the bowstring sliding down the limb. This seizing would also bind the end of the tension rod to the limb. These thick bindings of high tensile thread, especially if soaked in hardening resin (natural or otherwise), form lightweight, immensely strong compression bands that hold up well to the rigors of life aboard a ballista limb. The seizings on Firefly’s Mk. X limbs have been thumping along for several hundred shots now with nary a burble. So to sum up, our data shows that with an inswinger, a single projecting pin out on the limb tip, and a thick cordage seizing, is all that’s needed to attach the bowstring to the limb. From where I’m sitting it’s a simple and proven solution that would work very well with a tension rod made just like the one from Elenovo. It is interesting that the loop on the tension rod artifact appears to be just hammered closed, rather than forge welded closed. Again, experience suggests that this approach would be quite sufficient for the pin’s purpose. A cordage tip binding, mentioned earlier, would create a powerful pinching effect on a properly sized pin if used with an unwelded loop. Easy maintenance? –Probably nothing. Maybe something. Suspension of disbelief, at least for a time, can advance one’s thinking when all else fails. Investing a little faith in any particular premise is essential to muster the focus needed to explore it. I am very pleased to report that a fellow Washingtonian is working on another version of the Orsova ballista. His machine is still in the prototype phase but it has already done some preliminary shooting. Currently, like all decent catapults, it is being upgraded. 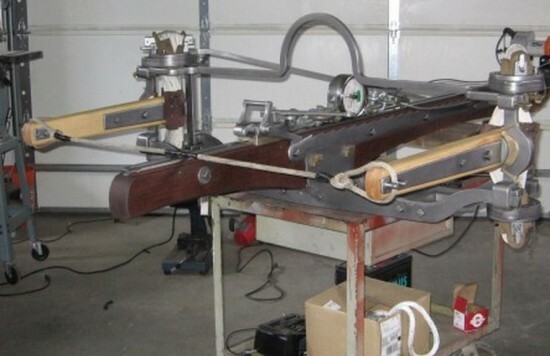 Here is the Orsova ballista made by Mr. John Payne of Sumner Washington. 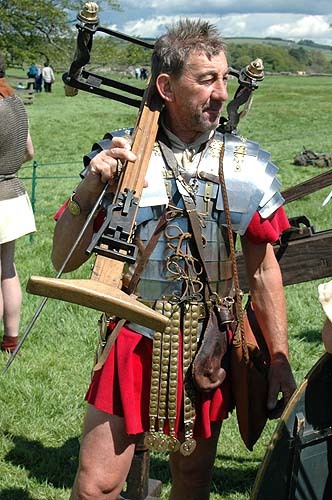 John has an abiding interest in ancient history, and as a talented fabricator with the gumption to give ballista-ing a go, promises to bring a fresh look at the mechanical secrets of the Orsova artifacts. Perhaps John’s machine (as yet unnamed) can meet up with Firefly. They could discuss why two torsion freaks had brought them into existence in the first place. Is it something in the water in Washington State? Perhaps we could get Jay Inslee to send us to Rumania so we can do a proper job of getting nose to nose with the Orsova finds. It could be one of those boonydoggles, hands across the water, historical connectedness or something….. But seriously, nice work John. There are a few of us that appreciate what it took to get this far. Limbs are 2″ thick white ash. 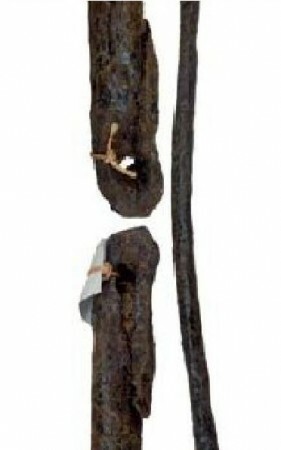 The limb irons are an important feature. See archives, April of 2012. 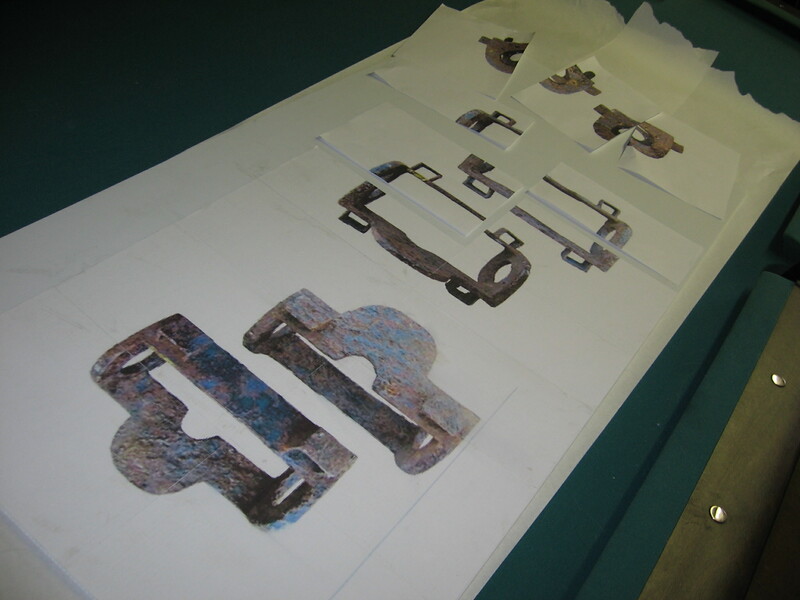 A lot of information can be gleaned by the careful examination of the photos of the Elenovo artifacts. In the past I have found it helpful to blow images like these up to full size and glue them onto some rigid poster board. 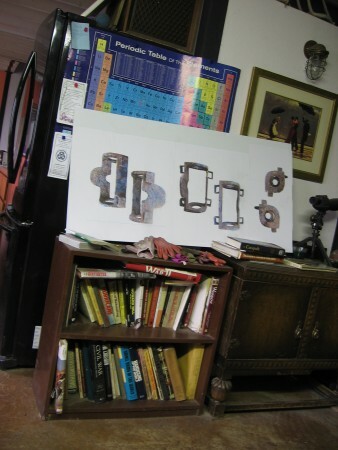 After this poster has sat on my wall for a week or so, positioned in a place it is hard not to look at (like right over the top of the Rebecca’s honey-do list), only then do I expect enough of it to have seeped into my subconscious to attempt some actual metalwork. Pondering is most of the fun. Doing is largely about the quality of the pondering. It is clear to me that the four holes seen in the end caps of the field frame on the Elenovo artifact are too close to the spring hole to be utilized for the locking pins for the washer. 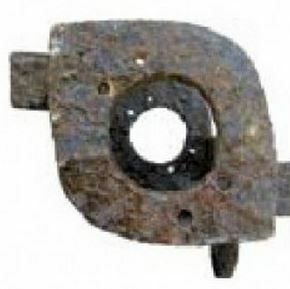 The basic design of any ballista washer requires the locking pin holes to be in the rim near it’s outer edge. The four holes in the Elenovo end cap would be obscured by the vertical walls of the washer because these four holes are so close to the spring hole. Clearly any holes utilized for locking pins would need to be much nearer the edges of the end cap where the rim of the washer actually rides. Unless, of course, one postulates an impossibly small spring diameter and tiny, little washers. That would be pretty self-defeating wouldn’t it? 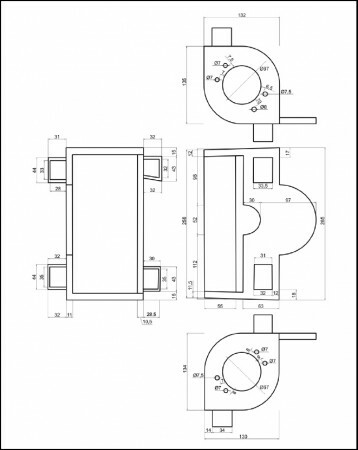 The upshot of this reasoning is that the vernier plates I utilized on Firefly make perfect sense for the Elenovo machine we will be building. 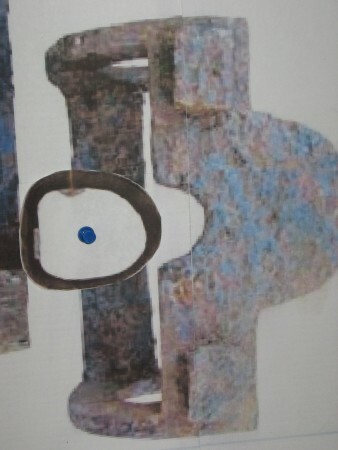 This may seem like a trivial point not worthy of such attention, however it is these small clues that light the way on how the original machine must have looked. Perhaps it is my terminology that causes reticence in certain quarters. 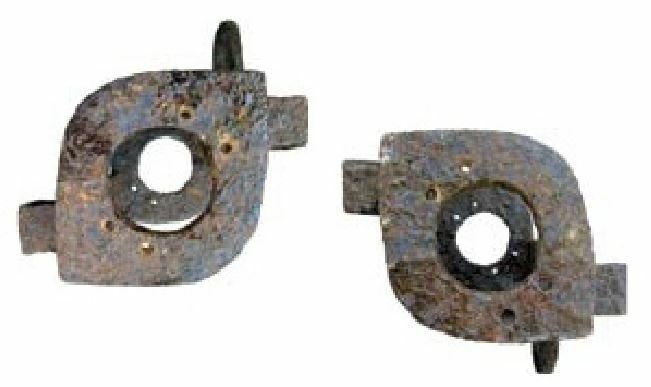 (Yes, I am talking about your Ballista Wiki, Samuli ) “Vernier plates” are pretty much the same idea as the well accepted “counter washers” seen on wood frame machines. My posting from Dec 25, 2008 makes the basic case as I saw it on an early version of Firefly. Now, the Elenovo artifacts make it plain. 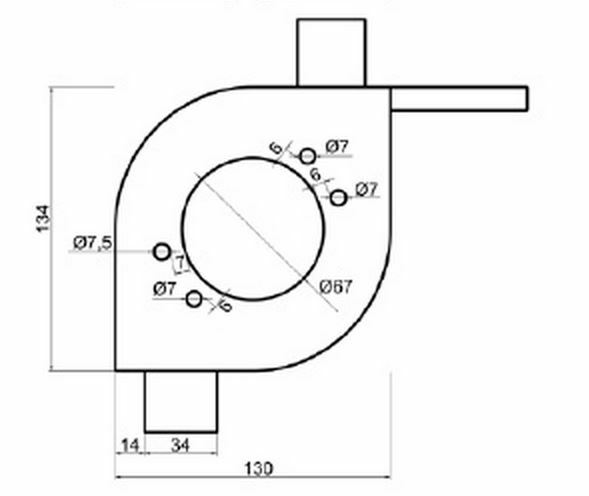 Note the pattern of locking holes that act like a vernier scale to allow the 7 1/2 degrees of incremental adjustment for twisting up the springs. 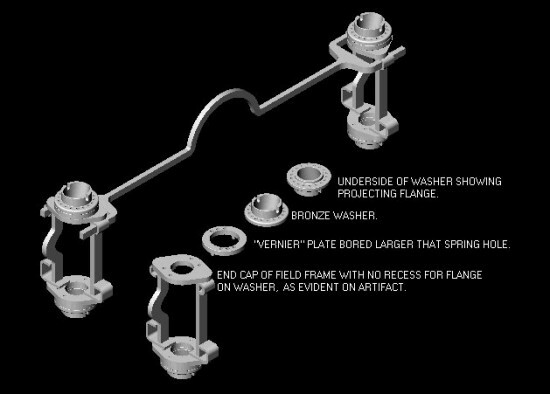 The spring hole in the vernier plate is of larger diameter that the one in the end cap of the field frame. 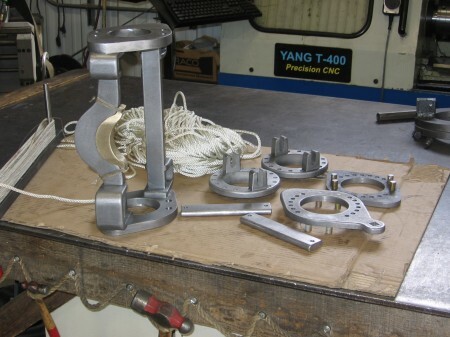 This provides a recess for the projecting flange on the underside of the washer to ride in. This in turn allows the torsion spring to be as large as the spring hole in the artifact. Not a trick, just no wasted space. A maximization of what is already there within parameters the Romans readily had available . All perfectly legal in this game. Our goal, after all, is to demonstrate that most difficile of ancient catapult traits: high power in an elegant and plausible package. 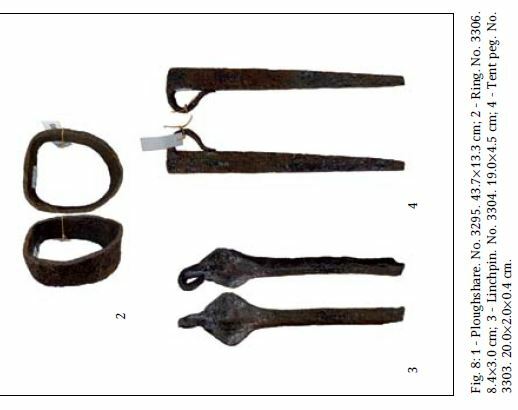 All these photos are from the Kayumov and Minchev paper: The Kambestrion and Other Roman Military equipment from Thracia. Just stirs the blood, doesn’t it? Again with the four holes in the bottom. Very interesting. 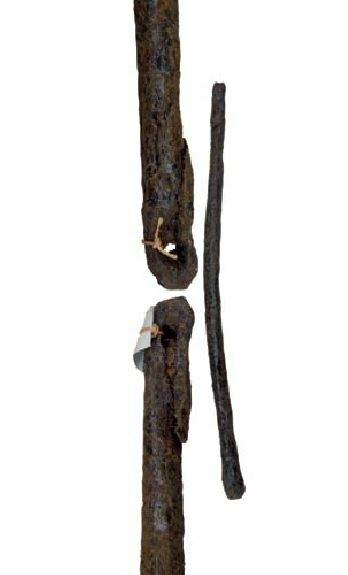 And perhaps best of all, the strong suspicion that this next artifact is that most elusive bird of all, the tension rod that is strapped onto the back of a ballista limb to make it stiff. 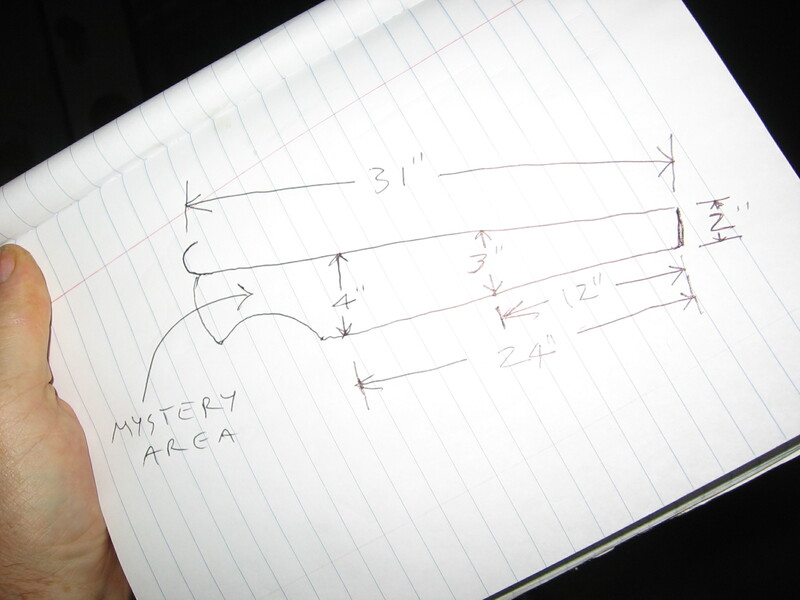 And the equally strong suspicion that this next piece is the crank handle for the ballista. The Elenovo ballista ….kind of has a ring to it doesn’t it? In terms of building a powerful machine, there is nothing here that doesn’t make perfect sense to me. Just look at the thinness of those pockets in the curved stanchion. Either the limb is going to be arrested by the bowstring or there is going to have to be some armor plate on the front of the limb if it’s going to survive a steady diet of smacking into that narrow stanchion. What a clack that would make. …. So anyway, it looks like Phoenix has found a new home. These artifacts will be a fine basis for her; the field frames appear to be about 3/4 the size of the Orsova frames. A trim little beast she will be. To my eye, accustomed as it is to the look of inswingers, the curved stanchions appear front to back. With all due respect to the fine looking machine this gentleman is holding, I think the basic design could be made into a powerful inswinger. Of course it would need a winch. When it comes to catapults, you can’t get something for nothing. So what purpose would this quest for increased performance serve? My goal has always been to elucidate how the original Orsova artifacts would have performed if given enough sustained development to matter. How much development is enough to matter? Well that’s the rub isn’t it? Ambition defines what matters, and in this game, foot pounds and feet per second are obvious and easy ways to score success. Too obvious perhaps. They “matter” only so long as we can suspend our disbelief and agree the model being worked on is plausibly similar to the original it seeks to emulate. Otherwise the historical aspect is lost entirely and the whole exercise turns into mere sport. Most historical catapult projects I have read about do not record as large a number of upgrades as Firefly. Dealing with all her failures is what has lead to authentic levels of performance. 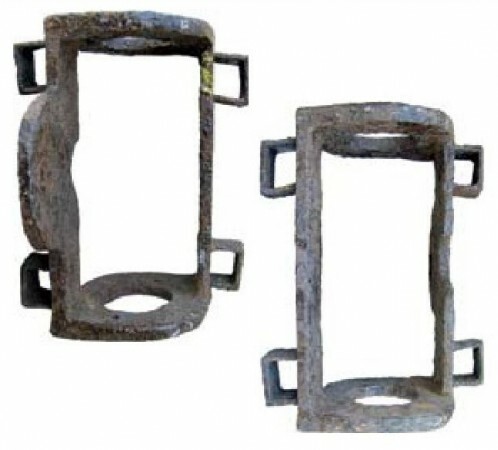 The development process for catapults seems to require an extended amount of mayhem in order to deal with all the weak links and move ahead in a balanced manner. Striking this balance is even more important when development is limited to a certain set of historical constraints, and individual parts at least have to make a show of appearing authentic. The Orsova Kamarion is withered down from it’s original dimensions by the ravages of corrosion. For the historical catapult maker an honest duplication of this artifact must balance the desire to make it as beefy as possible with what this vital piece of the puzzle must have actually looked like before oxidation had it’s way with it. 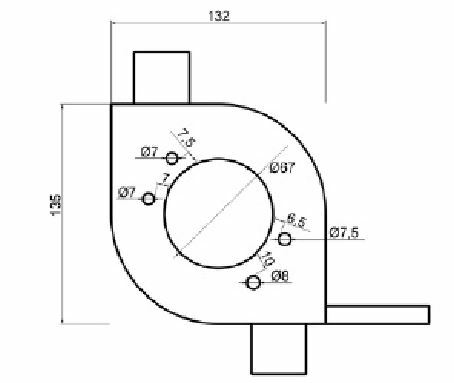 I am thinking that a 50% increase in the cross section of this part is not unreasonable given the pitiful shape it appears to be in. There is no reason to suppose that such a highly stressed part would not have been made from the best spring steels the ancients could devise. That such steels may only have been available in limited supply does not preclude their use in high end, strategic mechanisms like ballistas. For Phoenix, a modern steel with around 120,000 psi tensile strength does not strike me as beyond what very high quality ancient forge work could accomplish, (e.g. Damascus steel, which was available in the Middle East as early as 300 B.C.). And that, I reckon, will just have to satisfy the Authenticity Police who are running around inside my head and monitoring this little game we are playing. It would be naive to think that the Romans, and the pool of foreign artificers they likely had working for them, could not rise to the occasion and get their machines sorted with a minimum of fuss. They had centuries to develop them after all. Unfortunately, my allotted time to quibble about these matters has a fast approaching expiration date. 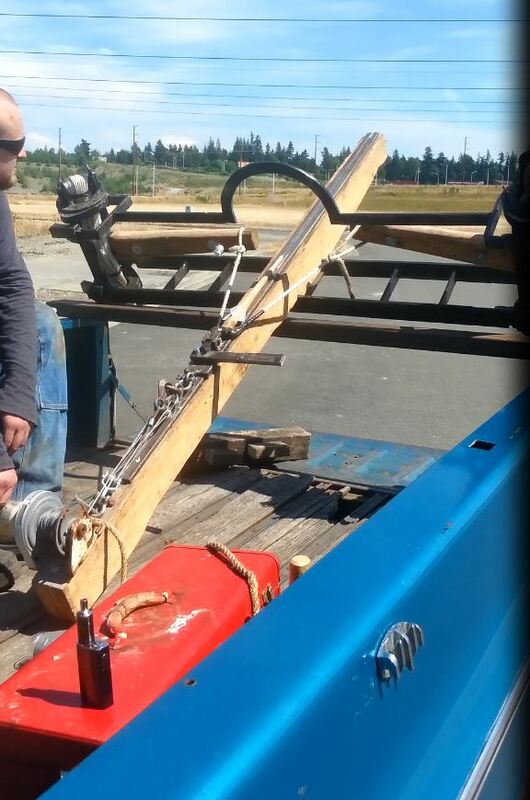 I probably have just one of these over-the-top catapult projects left in me. An unmitigated quest for horsepower, or a doubling down on historical accuracy. Best to choose wisely…..
A sandpit! A sandpit! My Kingdom for a sandpit! But seriously, it’s a particularly bad fire season this year, level three evac. and all that. Shooting will have to resume in the fall. Firefly is not in the least pyrotechnic, but I don’t need the rep of being out shooting any kind of anything under conditions like these. Pesky old fire season.